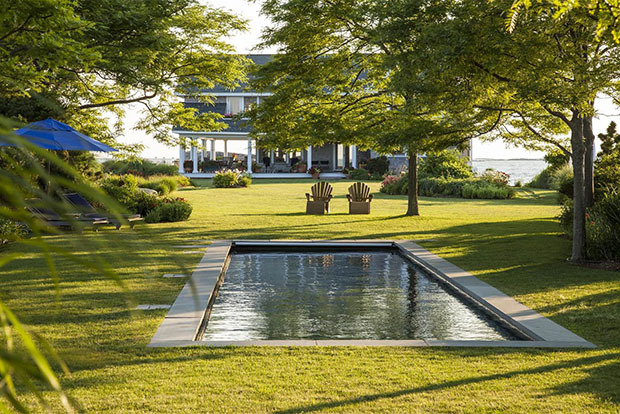 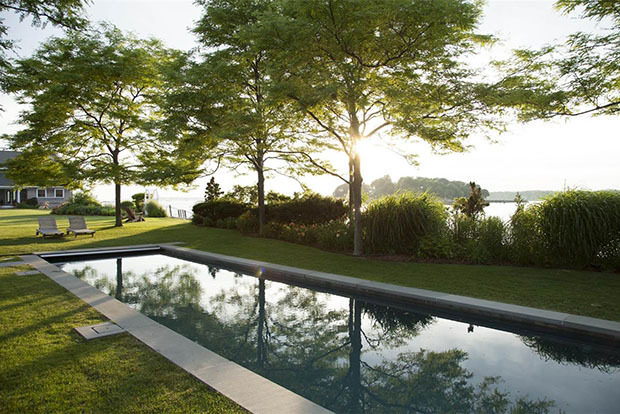 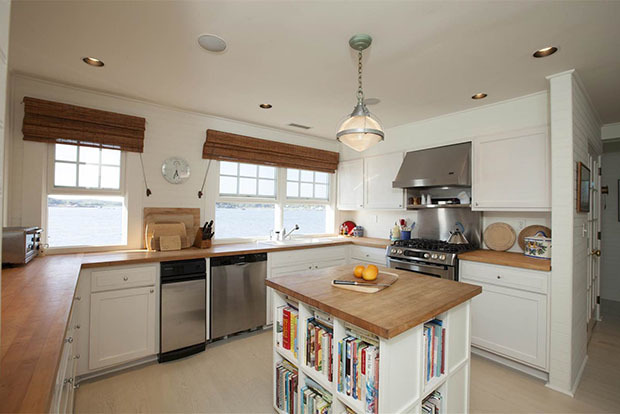 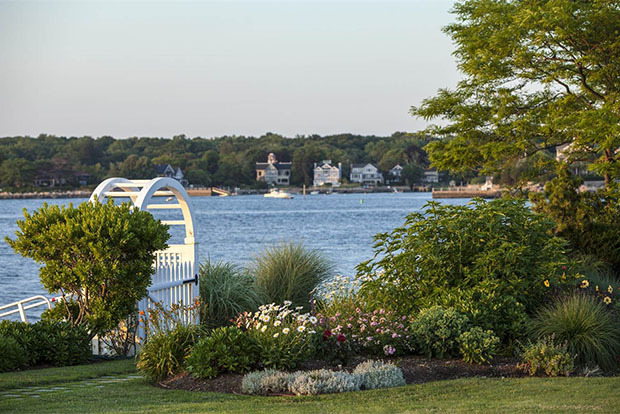 (ABOVE) Just 85 miles from New York, New York, this home offers 360-degree water views. 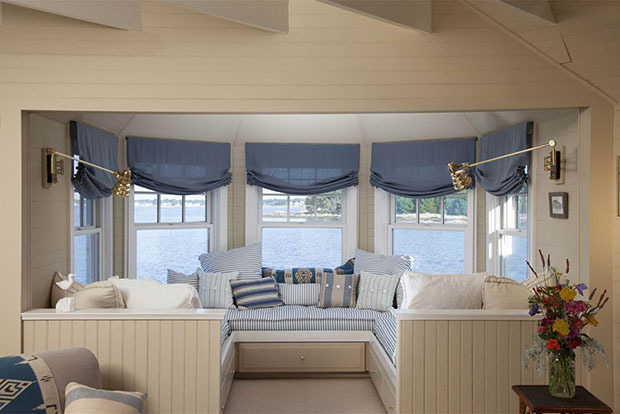 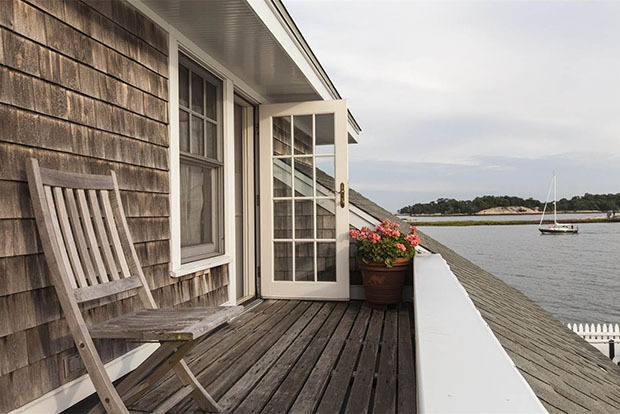 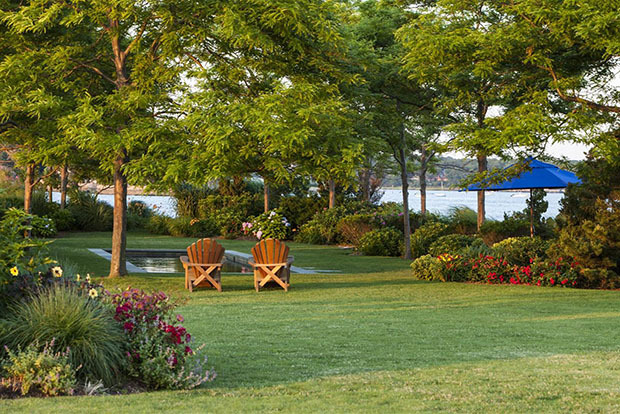 The concept of having a casual, unfussy, classic-style vacation cottage on my own 1.1-acre private island, accessible only by boat, but not too far from the mainland–and roomy enough for family and friends–is so appealing to me. 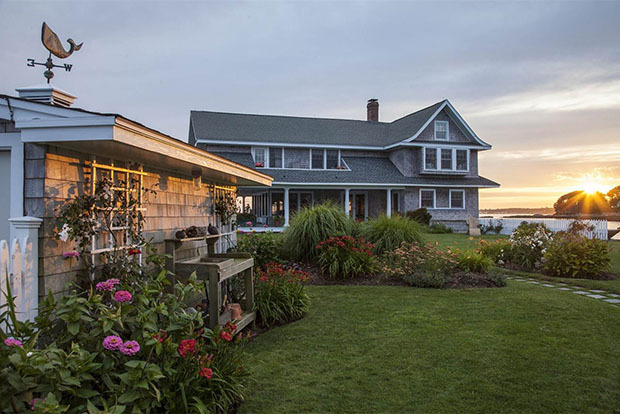 It’s a perfect retreat, because it marries all the charm and adventure of getting away from it all, but without the stress of living too off the grid or far from civilization for too long. 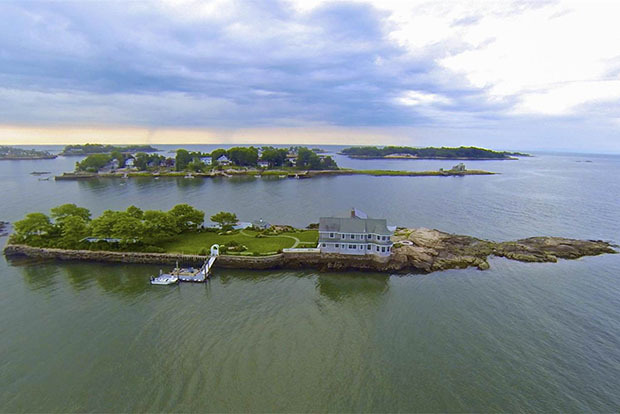 This iyllic 1912 renovated home is 3,871 square feet in size, is 85 miles from New York, New York, and has four bedrooms and three and one-half baths. 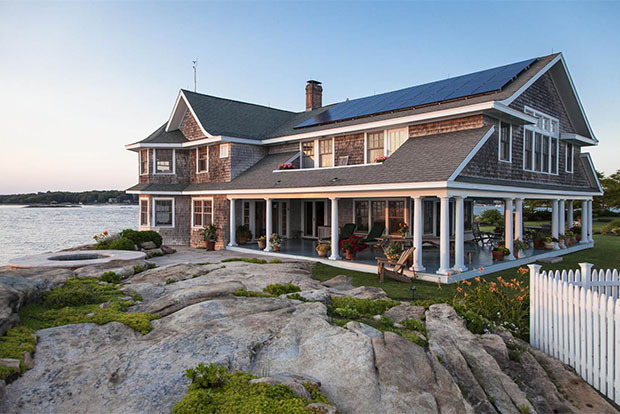 With a wrap-around porch and wooden floors, the house is wired for electricity and air conditioning, and is powered by PV solar and natural gas. 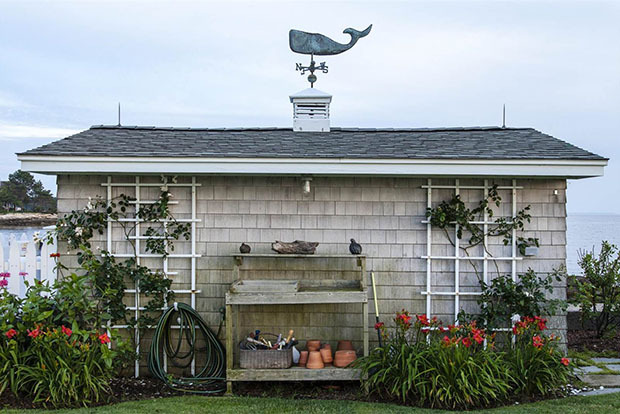 The property also features lovely gardens, a classic rectangular pool, and an adorable potting shed with trelliswork and a whale weather vane. 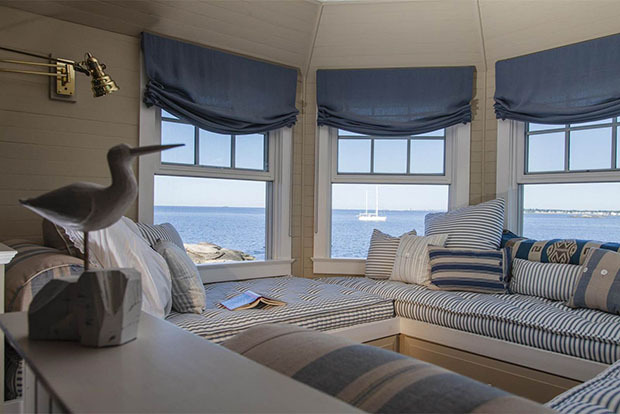 What fun it would be to putter over in a classic wooden boat, spend a weekend or a week or two weeks or the entire summer, knowing you can always return to your mainland home when you and your family feel like it. 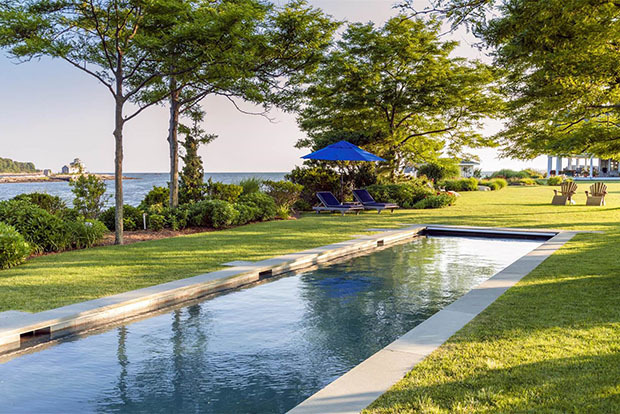 For asking price, many more photographs and further information, see the site of listing agent Willard Finkle, Christie’s International Real Estate. 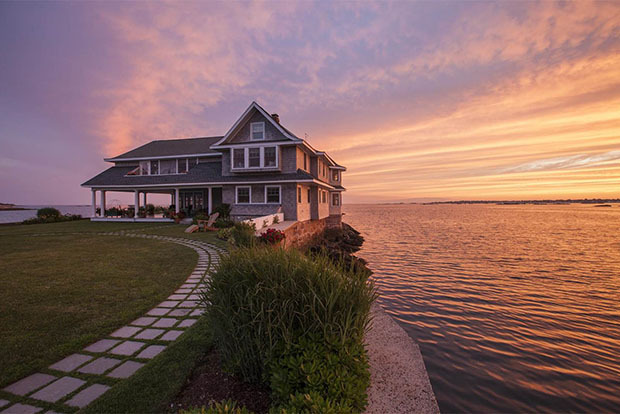 All photographs via listing agent Willard Finkle, Christie’s International Real Estate. 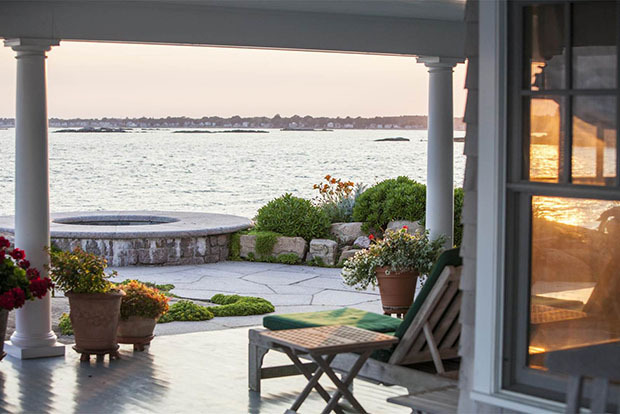 Al and I enjoyed looking at this great house! 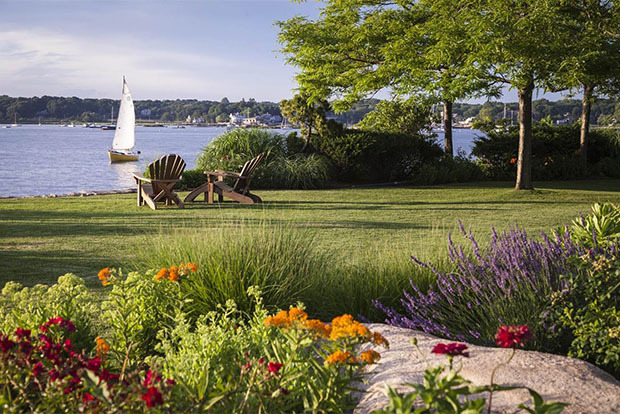 He’s very familiar with Branford. 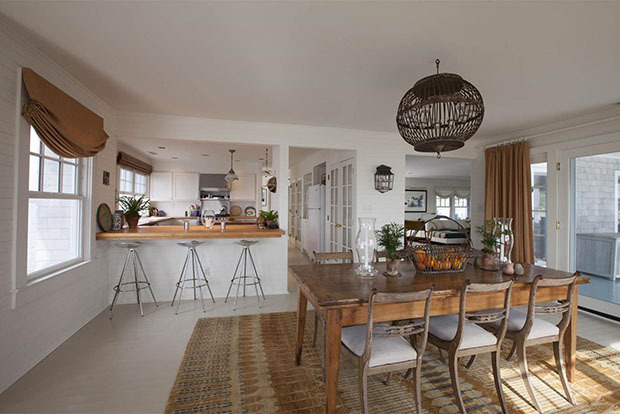 I dont know what to say to this house,so dreamy,so fresh,fantastic,its perfect !